If you are planning to visit a place that is loaded with fun and activities, Damdama lake is an ideal place to plan a vacation. Located at a distance of around 50 km from Delhi, the lake is a popular attraction for adventure near Delhi NCR. Camping, boating, horse riding, rock climbing and camel riding are the activities that visitors can enjoy here. Loaded with adventure activities, the lake also allures tourists with calm and peaceful environment. Damdama lake is a lot more than stress buster. It is one of the biggest natural lakes in Haryana. Tourists visit the lake to get a refreshing experience. Boating can be enjoyed by anyone here. This is one of the activities that can be enjoyed with family. Tourists can choose from a range of Boats, Paddle Boats and Motor Boats. If you wish to go for a speedy ride, motor boat will be the best option. On the other side, paddle boat keeps you occupied in paddling. This can be a family fun that not only relaxes the mind but also refreshes the mood and with a memorable experience. Camping is another interesting activity that you can enjoy with the family without considering the age factor. The place can be considered as the learner's paradise. Due to its location near Delhi, it attracts many tourists who wish to enjoy a camping experience. 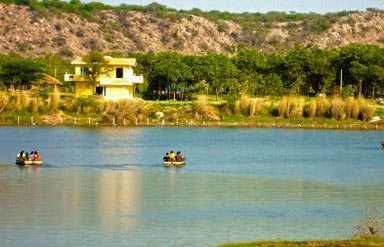 Resorts here offer camp stays that are lake facing and cover Aravalli hills in the backdrop. Damdama Lake also invites climbers. If you have an adventurer in you, Damdama is the place for you. Snuggled in Aravalli hills, the lake provides beautiful views that make the rock climbing experience memorable. You can also explore the area on the back of a horse. This experience not only gives you a royal feel but also is a safe practice. Under the guidance of the experts, horse riding is a great fun. 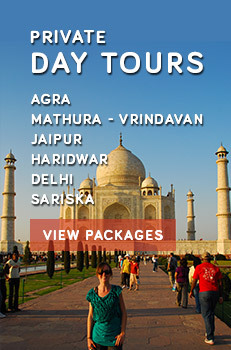 Tourists can book the ride from the hotel or the resort, they are staying in. Above mentioned were just few names of the activities. 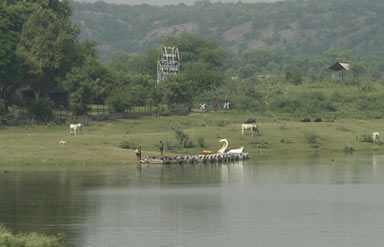 There are still more activities that tourists can enjoy during their Damdama Lake visit. Hot air ballooning is also popular here. It gives a panoramic view of the lake and Aravalli hills. 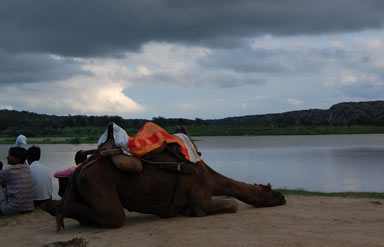 Camel riding, rain dance and a lot more activities are available at Damdama lake to enjoy and spend a delightful vacation.